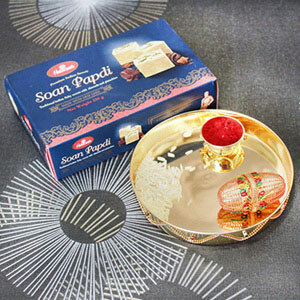 As Bhai Dooj is round the corner, get yourself prepared!! 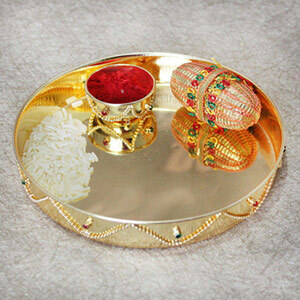 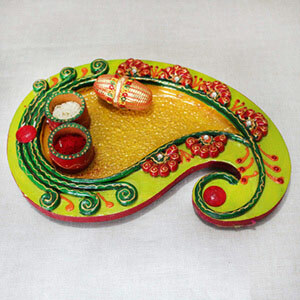 Send this intricately crafted Designer Silver Plated Tikka Thali to your brother. 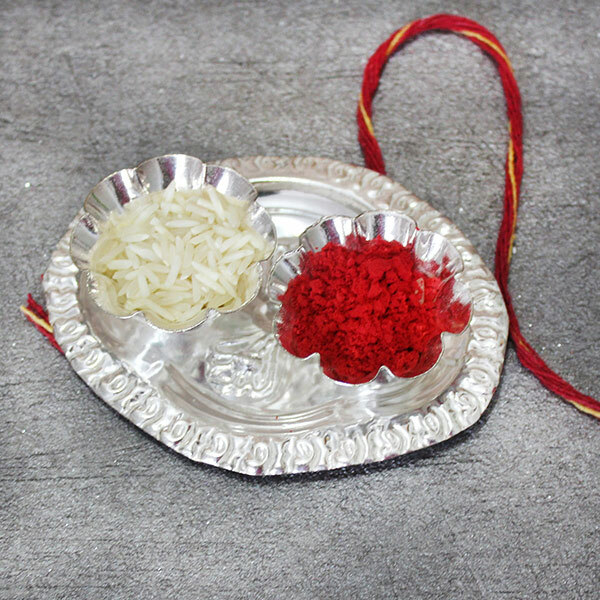 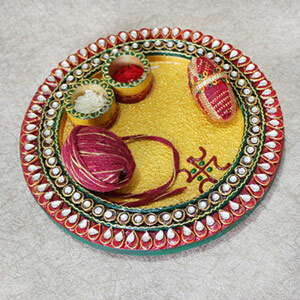 To complete the Puja ritual this thali is coupled with Roli & Chawal and soft Moli thread that will help in strengthening the bond of love that you two share.